I covered the iPhone photo app Koloid earlier (2 missing, 1 dead after mudslides and flash floods hit Colorado). A bit of fun ‘developing’ black and white photos taken with the iPhone. 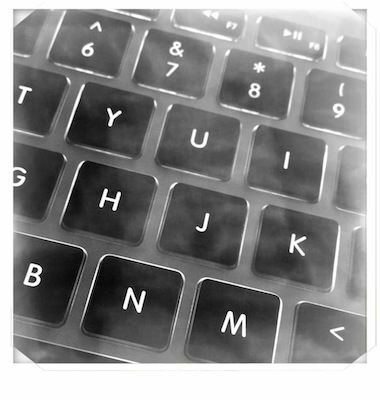 The app mimicked the dark room experience of processing paper prints in the darkroom. Moving the tray back and forth for the chemicals to have the image appear. A bit too long on a spot and it’s is dark from over exposure. Well, it’s more fun than serious. Now, Koloid is offering a fun sharing experience beyond posting to social sites. 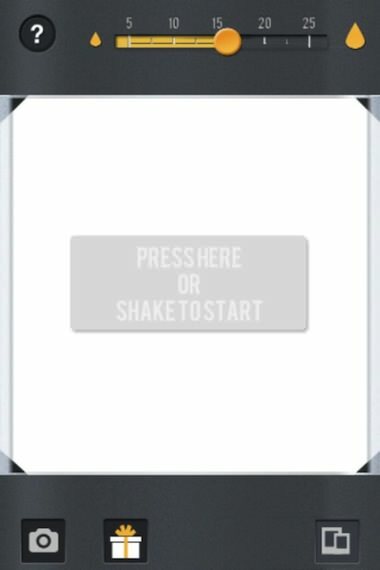 When at the screen where you start the processing phase, a new ‘gift’ icon is an option along the bottom of the screen. Choosing the ‘package’ icon results in an email being created with the ‘undeveloped’ image attached. Just email to a friend and let them develop on their own to see the image as a surprise. A couple things come to mind… since you have yet to develop the image, you wont be sure of what the friend will see. 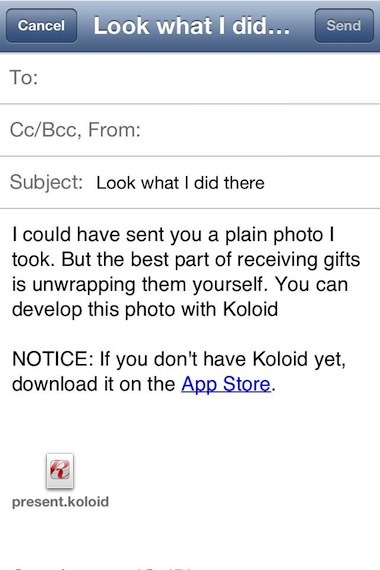 And, the person receiving the email will need to have a copy of Koloid on their iPhone.